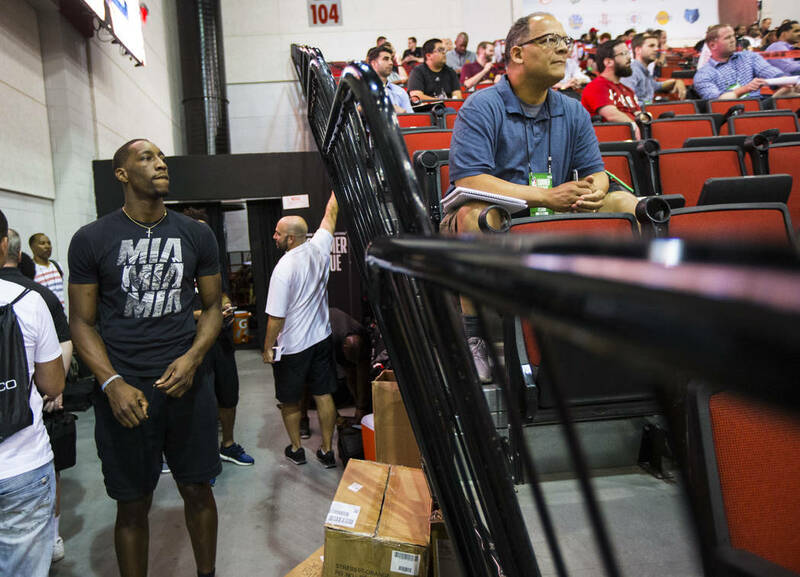 Nowhere was versatility more evident than the NBA Summer League, where a harvest of young talent spent the past 10 days inside Cox Pavilion and the Thomas & Mack Center trying to prove themselves. NBA general managers came to a fairly unanimous evaluation on a certain player entering the 2012 draft: At a listed 6 feet 7 inches tall, he was viewed as an undersized prospect who lacked a great shot, was average athletically and didn’t project to a specific position. A major concern: Teams were unsure what type of opponent his size and skill set would allow him to successfully defend. Turns out, Draymond Green can guard anyone on the planet. Welcome to the 2017 version of the world’s most renowned copycat league, where specific positions no longer define how basketball is played. There is no 1-5 anymore, but you could see a team with three 2s, a 3 and a 4 on the floor at the same time. You don’t have point guards. You have point forwards. You don’t have centers. You have stretch 4s. You don’t have power forwards. You have hybrids. You don’t have guard-specific. You have combos. You don’t have standard. You have Kawhi Leonard. You don’t have back-to-the-basket posts. You have leading-the-break Greek Freaks. Labels are for identifying packages, not NBA positions. Not anymore. 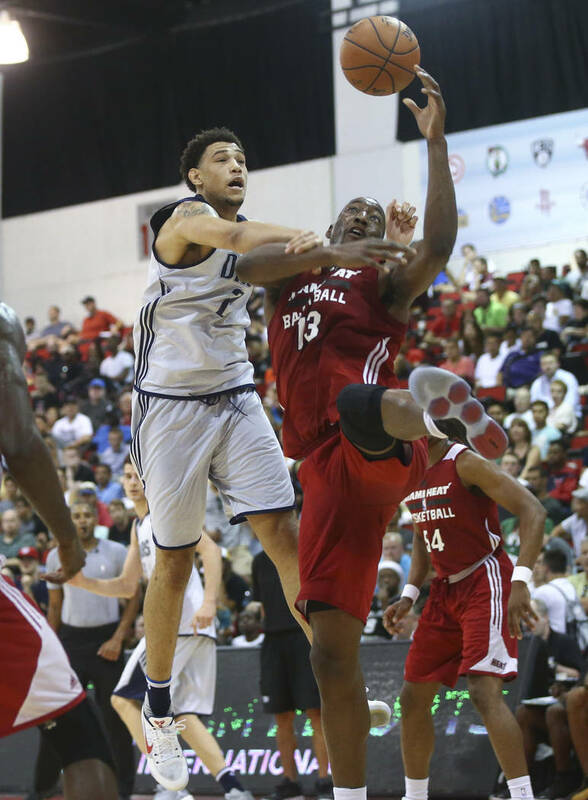 Nowhere was this versatility more evident than during the NBA Summer League, where a harvest of young talent hoping to make rosters spent the past 10 days inside Cox Pavilion and the Thomas & Mack Center trying to prove theirs is the type of all-around games that best fit today’s NBA. 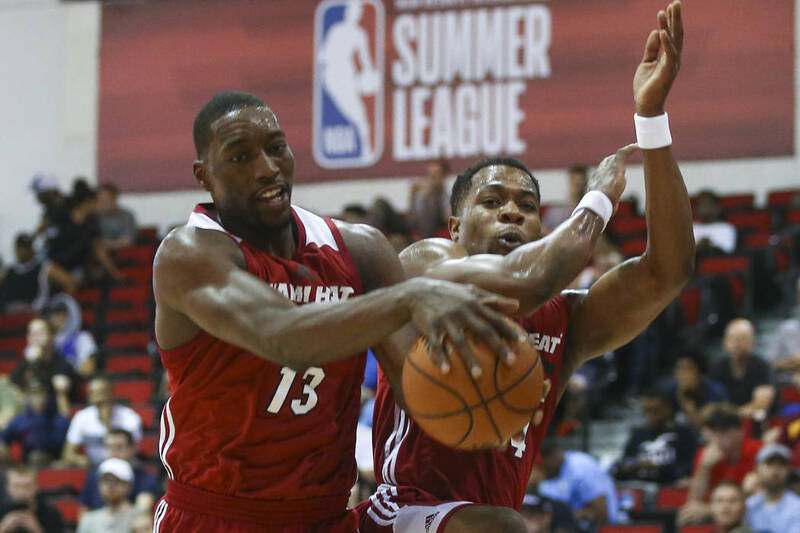 Players such as former Findlay Prep star Dillon Brooks of the Grizzlies and Bam Adebayo of the Heat are the quintessential answers to those holes teams are trying to fill, because it’s all about positionless basketball now. About being ultra athletic and playing above the rim and setting great screens and defending multiple spots. It’s a truth that’s here to stay, the game no longer about fitting bodies into conventional roles, and nowhere can you find a better example of a team shattering old-school concepts than the world champion Warriors, as unorthodox as they are effective. The NBA, more than ever, is about spacing and movement and deception and players incredibly skilled at shooting and dribbling. In other words, Kevin Durant and Steph Curry. 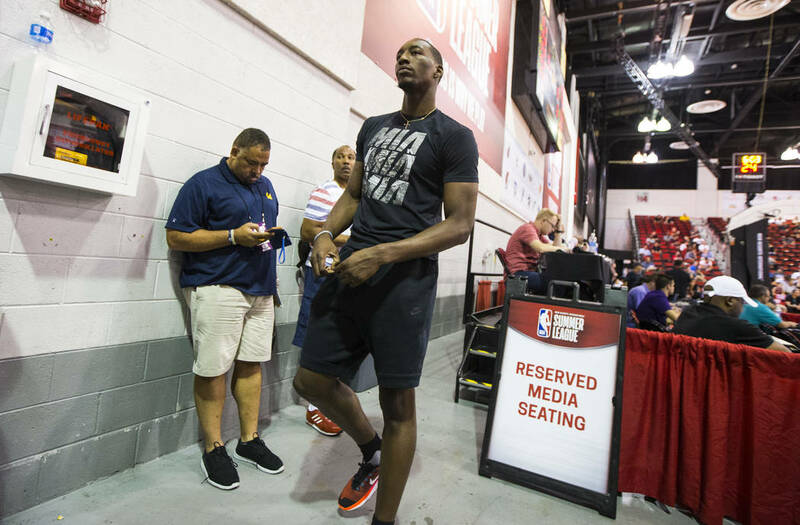 “You’re looking now for guys who have size and length and can create for others as well as themselves,” said Lawrence Frank, executive vice president of basketball operations for the Clippers. “Durant and Curry are two of the four or five best players in the world. But you have to be careful. If someone has a better version of what you have, they’re going to beat you. The worst thing in the world is to try to be someone else. It’s not that centers could never step away from the basket and shoot, but the midrange jumpers Patrick Ewing and Yao Ming once consistency attempted now come from 3-point range. A center such as Karl-Anthony Towns of Minnesota can just as easily post up a smaller defender as he can take a bigger one outside to create a mismatch. Versatility isn’t some new and improved concept — Michael Jordan, Magic Johnson, Scottie Pippen, Oscar Robertson. Guys like that were pretty darn multifaceted. It’s just so prominent now. There might be three point guards in the league most would consider traditional. Everyone wants the next Leonard as their leading wing, because there is arguably no better two-way player in the world than the San Antonio star. Beating the league’s best team now usually means having the ability to offer two lineups — one with some size because Golden State can go big when it chooses and another to go small while trying to keep up. You need a small forward who can defend a power forward and must be interchangeable with ballhandlers, wings and bigs. You need to be able to switch all forms of a pick and roll and not be exposed defensively. You can’t be one-dimensional in any form. “That part of it has become far more mainstream when building your team,” Timberwolves coach Tom Thibodeau said. “Draymond can go play center and the Warriors don’t lose anything. Kawhi can slide over to the power forward for San Antonio. LeBron James can play any position on the floor for Cleveland. Nobody cares about positions anymore. Just guys who can do a lot of things really well. Contact columnist Ed Graney at egraney@reviewjournal.com or 702-383-4618. He can be heard on ESPN Radio 100.9 FM and 1100 AM from 11 a.m. to 2 p.m. Monday through Friday. Follow @edgraney on Twitter. 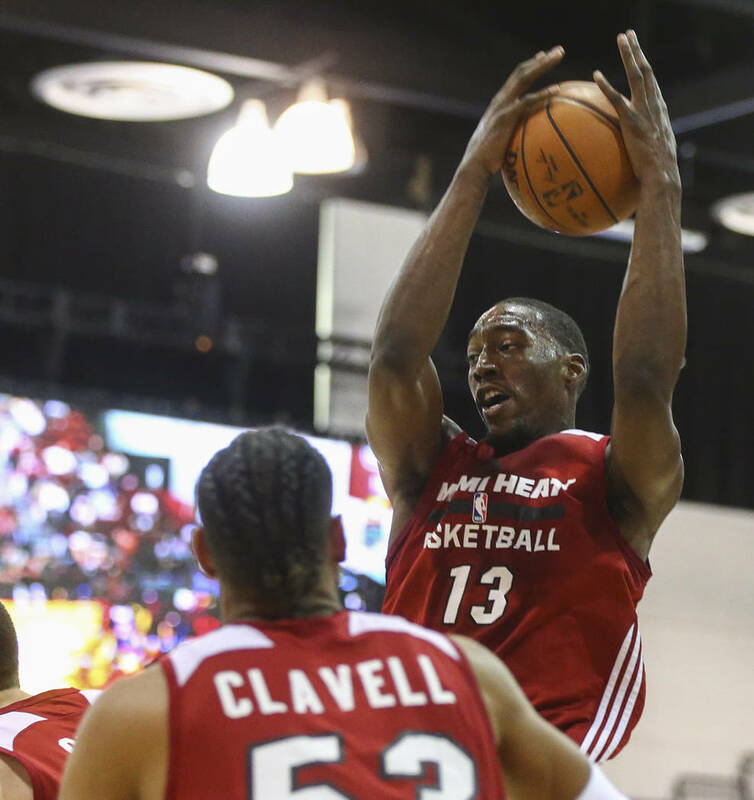 Bam Adebayo, Miami: Body of a power forward who can play center and stretch the floor. Jayson Tatum, Boston: Will see time at forward and guard for the Celtics. Dillon Brooks, Memphis: Incredibly smart wing whose shot continues to improve. Markelle Fultz, Philadelphia: Before getting hurt, No. 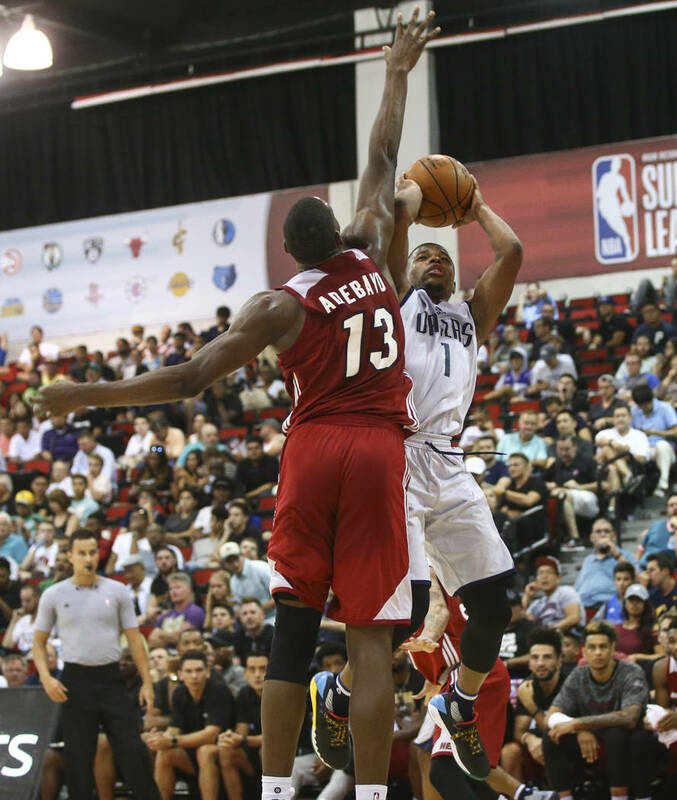 1 overall pick had look of promising combo guard. 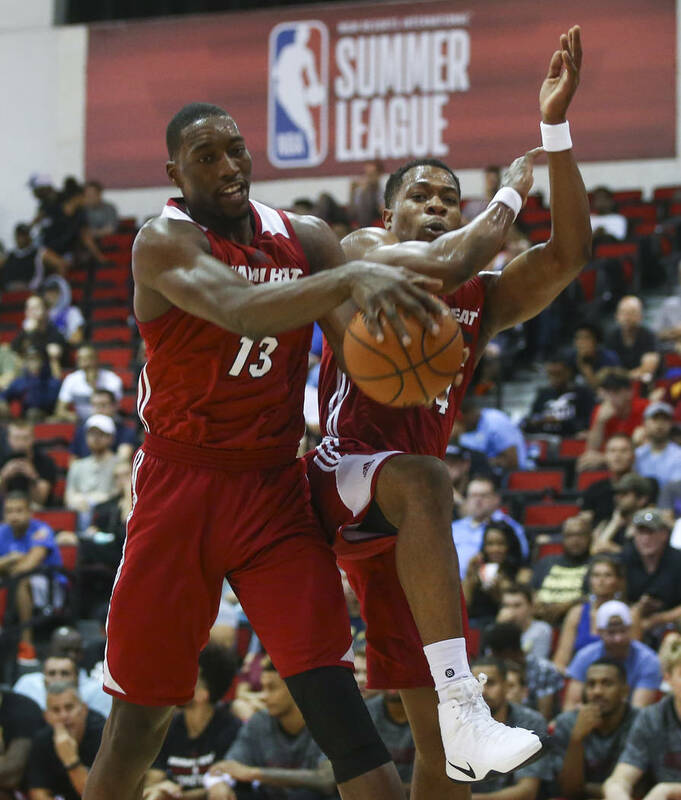 Caleb Swanigan, Portland: NBA scouts around summer league whispered this comparison: Draymond Green.